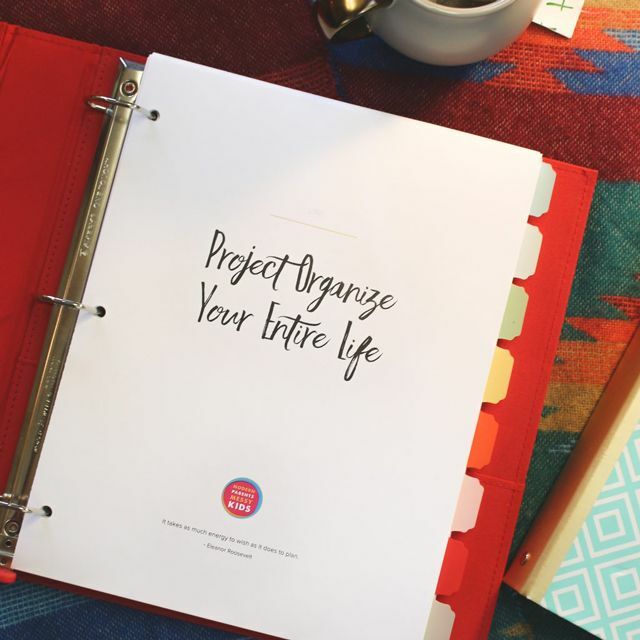 Our resident lover of all things green and non-toxic, Kaley, is here today with another installment of our new series: Project Green Clean Your ENTIRE House. Like Kaley, cleaning my oven is one of those things I avoid at all costs, but her method actually seems pretty easy and you can’t argue with those results! After a long winter of casseroles, roasted veggies, roasts, and other baked meals, our oven was looking pretty neglected. I like to think it is because we have a teeny tiny European oven, thus it is easier to get dirty, but I have a feeling our oven would look like this no matter what size it was. We cook at home nearly every single night, so the oven has to be one of the hardest working appliances in our house. But I avoid cleaning the oven like the plague. And as with most things, out of sight, out of mind. So I would quickly open the oven door, throw in a pan, and close it again before my eyes could really focus on the grease and grime that coated every square inch. 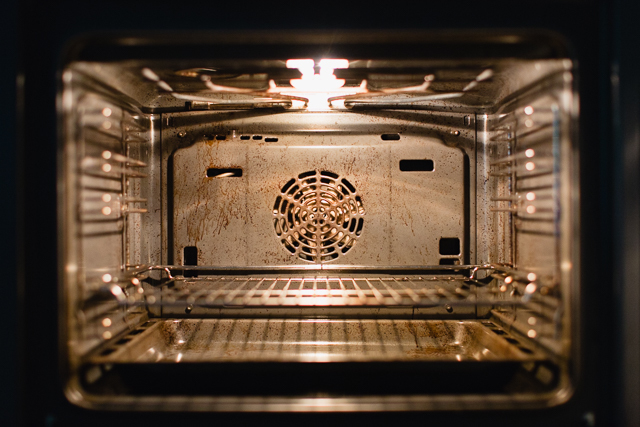 Depending on how often you use it, you should aim to clean the oven at least twice a year. And since it had definitely been over 6 months since it had been done, I knew it was time. I know some people who use the self cleaning feature of their oven, but this releases toxic fumes into the air, and can be very harmful to both people and animals. Plus, our previously-mentioned tiny European oven doesn’t even have that capability. Another option would be to buy a bottle of oven cleaner, but that is just as toxic as the self cleaning function. Instead, I turned to my two favorite green cleaning ingredients, baking soda and vinegar, and let them do their magic. Start by mixing baking soda with a little bit of water to make a paste. Spread the paste all over the inside of your oven, including the glass door and any oven racks. Make sure that everything is coated very well. The next day, the baking soda mixture will be completely dry. Spray liberally with undiluted distilled white vinegar. When the vinegar hits the baking soda it will fizz. Keep spraying until the entire inside of your oven is fizzing. Close the door and let it sit for another hour or two. Then take a rag and scrub in circular motions. The baked on grease and grime should come off relatively easily. In some of the dirtier areas and the corners you may have to put in a bit more elbow grease, but the results will be worth it! After you are finished scrubbing, rinse the rag and wipe out the baking soda mixture. Keep rinsing and wiping until all traces of the baking soda are gone. If your oven is especially dirty, or it has been way too long since it was last cleaned, you may have to repeat the entire process to get everything completely clean. On the oven racks and trays, use a scrubbing pad or a rag and scrub each and every wire piece until it is clean. If you do not have a large sink, it is sometimes easiest to rinse the oven racks in the bathtub. Your oven should now be sparkling clean. Just take a look at this before and after. I can actually see through the window now to check on what I am cooking!